Introduction: Up to now, most of the numbers you have used in math have been rational numbers. Rational numbers are the numbers you are familiar with -- whole numbers, integers, or any number that can be written as a ratio of two integers (fraction). When the fraction is divided, its decimal expansion either ends or repeats. However, there are numbers where this does not occur. These are irrational numbers. An irrational number cannot be written as a ratio of two integers (fraction). An irrational number goes on forever. Its decimal expansion has no pattern and does not end. At first, this may seem a bit bewildering when trying to solve a math problem. Fortunately, irrational numbers are written with symbols. 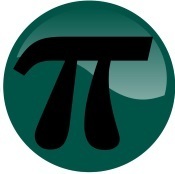 In addition, we can approximate the value of irrational numbers. The table shows some examples of irrational numbers.